The paper was written by AgriLife Research personnel Jaesung Cho, postdoctoral associate; Seong Park, economist; Jim Ansley, rangeland ecologist; and Mustafa Mirik, associate research scientist, all headquarter in Vernon, Texas, located in the Red River Valley along the state border with Oklahoma. 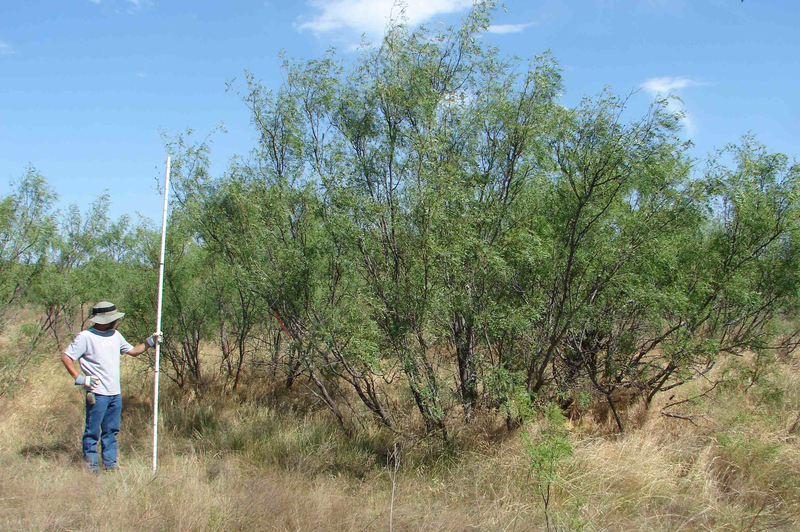 Their study estimated the long-term economic feasibility of mesquite biomass in electricity production under five different harvest scenarios, Park said. They examined variations in rates of standing biomass accumulation and tree density re-establishment after harvest using an above-ground-only or whole-plant harvest option. Other work by Ansley has shown the heating value of mesquite is nearly equal to low grade coal. The ecological and agricultural benefits of harvesting mesquite for bioenergy make it a potentially viable alternative to coal, Park said. More traditional income from these lands, such as livestock grazing and hunting, would be enhanced, and mesquite control costs would be reduced.